A 27-year-old man had been suffering frequent headaches and had been falling over frequently for around three years. But when he had a seizure, he headed to the emergency department. They took an MRI and found THIS. If you need to get your bearings, the squished brain looking stuff is a squished brain. The black horror is an arachnoid cyst. Internist Jennifer De Longpre at Metro Health Hospital in Michigan spotted it and wrote the case report up forThe New England Journal of Medicine. Arachnoid cysts are actually benign: They’re just the sac between the brain and the skull, filled with fluid, often present from birth. 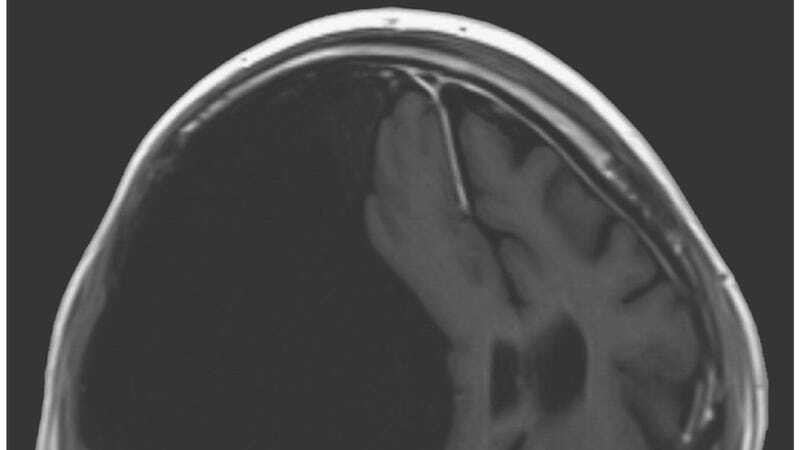 But this one was so big it had been causing neurological effects from pressing on the patient’s brain. 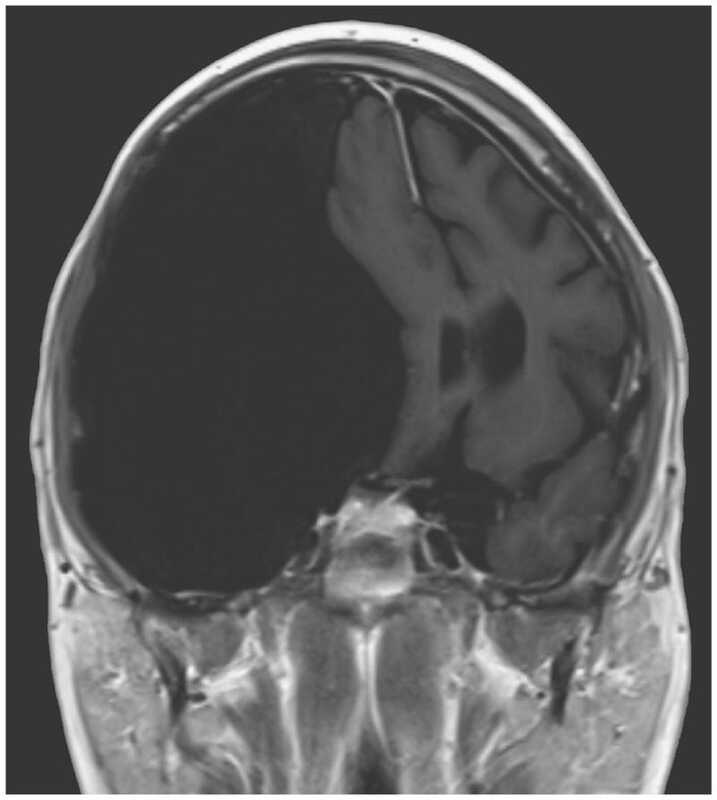 I emailed 15 and called 70 neuroradiologists before finally getting Maria Gisele Matheus, professor of radiology at the Medical University of South Carolina, to answer my very simple question: how severe is this seemingly massive cyst? “This case doesn’t look especially bad,” she said. Oof. Generally, said Matheus, the brain adjusts to the new pressure shift until symptoms begin to occur, but it doesn’t kill the patient. Her department sees maybe one or two minor arachnoid cysts a week, she said, and cases like this come less than once per year. In the case here, Longpre and her team cut into the skull and opened up the cyst to let the fluid drain. They also installed a drain for the fluid, called a shunt. The treatment didn’t change the cyst’s size, the patient still gets headaches, and doctors now just treat his seizures. Bummer.